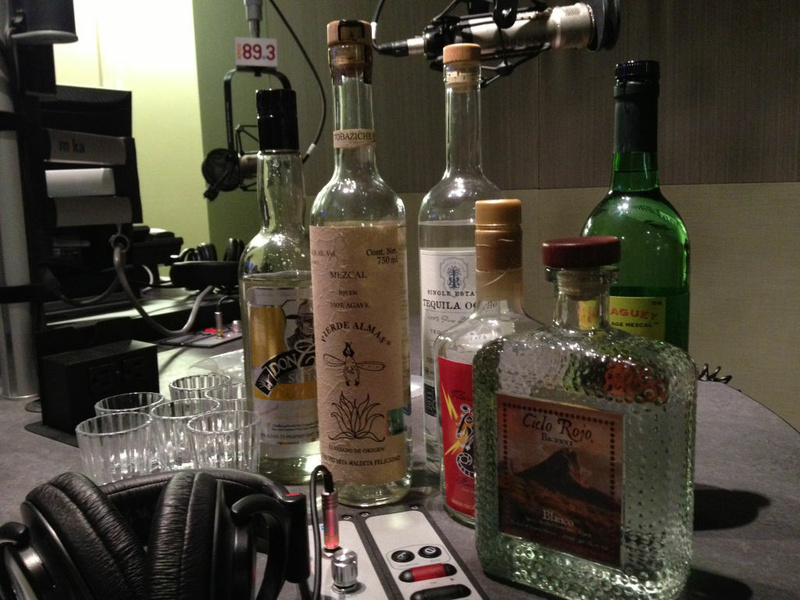 Bricia Lopez from the Oaxacan restaurant dropped by the Take Two studio to show us some alternative Mexico-made distillates to Tequila and Mezcal. Today is the second day of the two-day celebration Dia de Los Muertos. For the past 24 hours, those who celebrate the holiday have been honoring the dead with shrines, parties, food and drink. Two of the most popular alcoholic drinks being Mezcal and Tequila, but there are other agave alcohols that are making their way out of small towns in Mexico and into the glasses of people celebrating in the U.S. They include alcohols like Sotol, Bacanora and Raicilla, which all come from different regions in Mexico. To find out more about these alternatives, I recently reached out to Bricia Lopez, an agave-distillate expert and one of the co-owners of the Oaxacan restaurant La Guelagetza in Korea Town.